I was approached recently by a company who is keen to promote the idea that you don't have to stay in a hotel room to have the perfect getaway. 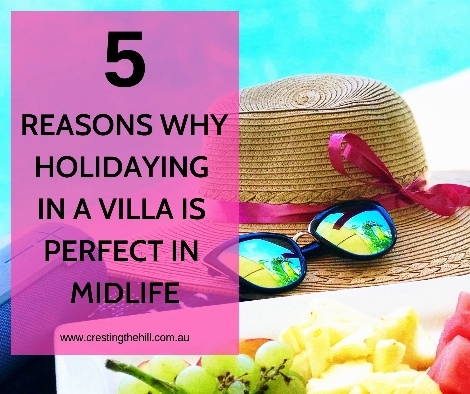 Today's post offers five great reasons why it would be so much better to choose a villa experience - more room to breathe, privacy, peace, and serenity. It all sounds perfect to me. Disclosure: This is a collaborative post. I feel it is a guest post that is relevant to, and of interest to Midlife women and I was in no way influenced by the company. Our decisions about travel accommodation in Midlife can make all the difference to the travel experience itself. It's all about facing new challenges and testing yourself to break from the monotony of everyday life. So, this time around why not take the plunge and book a private villa instead of a hotel for the ultimate tropical getaway. Why? 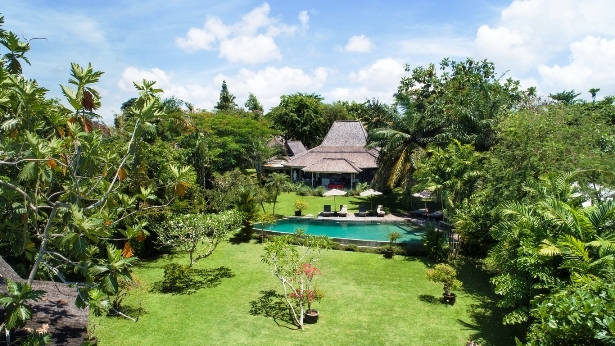 Staying at a villa in a tropical location is an exciting way to ease into travelling far, far away. The tropical sunshine warming your back while you lounge on a sun chair sipping on pina coladas is the perfect way to distance yourself from civilisation. Peace and quiet are luxuries not accessible to everyone; to have time to yourself without anyone demanding anything of you is definitely something many women cherish. At a villa, either a beach villa or one nestled amidst luscious natural forests, travellers can simply let go of their inhibitions and don their brightest, happiest bathing suit and have a great time. 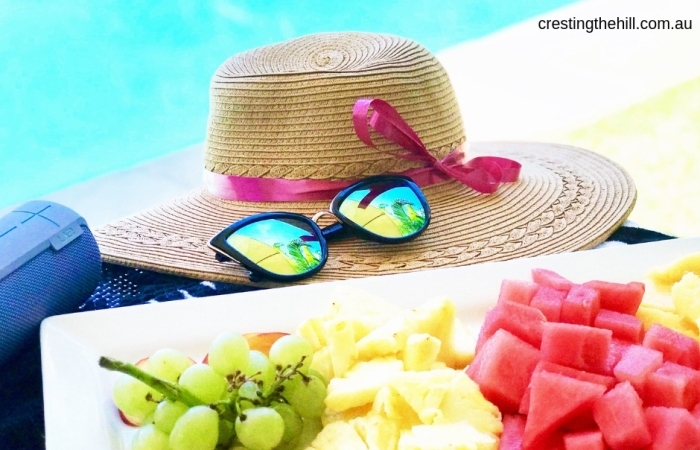 Here are a few reasons why staying at a villa in a tropical destination is the best thing for you and your mind, body, and soul. At times, you might think about taking a holiday with your family or your friends, the usual thing to do is to book a five-star hotel in your destination of choice. Living in a swanky room with pure, white linen bedding, a small seating, and a massive TV on the opposite wall, has its perks, sure. But, do you have an inviting swimming pool all to yourself? The freedom to enter the kitchen and showcase your culinary expertise? Probably not. A villa provides you with the privacy of having the house entirely to yourself. There is nothing that can disturb your peace and you can easily relax beside the pool from dawn till dusk. Most villas in a tropical destination or otherwise are looked after by professionals who are experienced in their field. Bringing their best in terms of hospitality and making your convenience their priority, you can rest assured that everything from the upkeep of the property to your breakfast is taken care of by the competent staff. Take a break from worrying about household chores and let the management do the rest. All you need to do is spend time by the pool or on the beach - to work on getting a beautiful tan. There are plenty of services you can avail right at the villa such as massages, yoga sessions, and even meditation for a morning boost. As soon as you enter through the antique wooden doors of your private villa, the first thing that you will see is the amount of physical space that is available to just you and your family. From the lavish pool and sundeck to the open-plan living and dining areas, there is a lot of room for the extended family to enjoy their own personal corner where they can engage in their activity of choice. The villa accommodates guests in a manner that is accessible, so gradndchildren can splash around in the kiddie pool while you and their parents relax on the sun chairs. And when it is time for them to sleep after all that activity, you can easily reset and unwind with a glass of your favourite wine under the poolside gazebo. Gone are the days when a tropical getaway translated to spending hundreds of dollars for bedrooms at a modern chain of hotels along the coastline. The beauty of staying at a villa is that it provides you with luxury and yet, goes easy on the pocket. For a holiday with your adult children, there can be multiple bedrooms, and the cost can be shared amongst the family members. You can even customise your experience with a private chef just for an additional cost of groceries or an in-house spa therapy by expert locals. Everything you need for a holiday is right there at your new home in the tropics. Each holiday villa is different and unique in its own way. 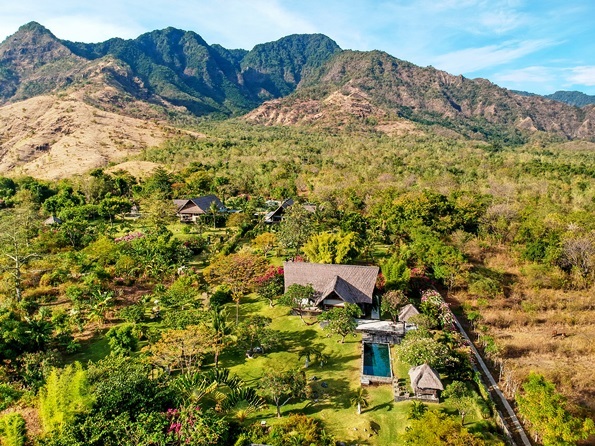 You could book a villa overlooking an expanse of emerald rice fields or a house perched atop a cliff with sweeping views across luscious forests and the ocean beyond – you could even have a private beach in your backyard! The experience of living in a villa is more than simply the convenience of it. You get to live in a traditionally-designed, modern home that accommodates the everyday needs of guests and still manages to maintain its essence. You don’t just get to live in a house with a pool but a villa that was designed with tropical modernity in mind to make it convenient, alluring and resplendent. We stayed in a villa in Uluwatu in Bali for our daughter's destination wedding a few years ago - it was a perfect location and the pleasure of having our own kitchen, an extra bedroom for my Mum, our own private swimming pool, and a lovely large lounge area far surpassed anything that the local hotels could offer. 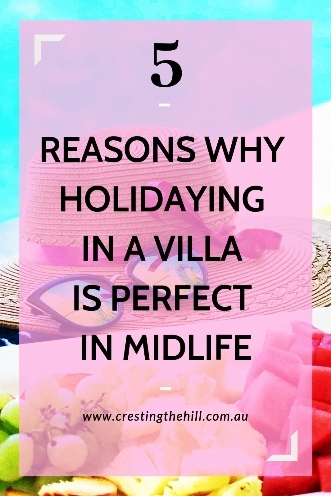 Have you tried holidaying in a villa? I'd certainly do it again - especially in a tropical setting where having a swimming pool on your doorstep (that you don't have to share with anyone else) is absolute bliss. This sounds just delightful Leanne, a perfect way for a holiday! I think it works so well in tropical destinations Deb - having your own private pool is just divine. You do sound like a world traveller Sue - I think I prefer villas and apartments because you have some room to move. I always feel a bit confined in a single hotel room with nowhere to go and surrounded by so many other people. And yes, cooking for yourself also keeps the expenses down a bit too. Vacationing in a private villa sounds like the perfect getaway to me! I love the idea of a bit of space to relax and unwind. Beautiful photos, Leanne! Those tropical locations always lend themselves to lovely photos Candi - and yes, I'd highly recommend a villa (especially if you take family with you on vacation). Hi, Leanne - Although I frequently stayed in 5-star hotels for work, they have never been my choice for personal travel. Having the option of cooking my own meals is a huge bonus for me! I love the food prep side of it too Donna - nothing like throwing some breakfast together, or coffee and nibbles after you've been out and about for the day. A bar fridge just doesn't cut it for me. I love the idea of a villa - all that lovely space and no one reserving the prime pool lounges. Hubby though likes other people more than I do & likes a lobby he can go and have coffee and people watch in. Give me privacy any day of the week. My husband is the ultimate introvert Jo, so he's happy to sit in his own private courtyard and read a book. I love not sharing facilities and not being "on display" or subject to someone's rowdy pool party - so villa travel suits us perfectly. Our favorite way to travel is by ship! But your post sure makes me want to look at villas. We've never done that (YET)! Great info! I'm not a cruise ship person Robin - a bit too crowded for me and a bit to full-on. I think holidays for me atm are for de-stressing and escaping from too many people, so a villa is just perfect. Your villa in Bali looks amazing. I'm writing this from a villa I'm staying at in Lourmarin, France (Provence). I know, I will close my computer after this post ... but I wholeheartedly agree—it's amazing to have a villa to yourself and often affordable, especially on off and shoulder seasons. Thanks and nice meeting you! Maybe one day Leanne - maybe! I think you and your kids would love it Janet - maybe when you win Lotto? A villa might be a little bit big for the two of us but it's definitely an appealing and affordable option for when there's a group of you. I really appreciate the freedom and independence of a self catering holidays and who can say no to a private pool?! Not me, anyway! The villa we stayed in while were in Bali was a perfect size for us (we like a bit of space) and it meant we weren't on top of each other all the time Sam. So much better than being cooped up in a little hotel room for a week. I've decided that any holiday that lasts more than a couple of days warrants a villa or an apartment Min. I need my space, my husband needs somewhere to be able to move around and read and eat breakfast while I'm snoozing - villas are definitely the answer. I think the extra space, the ability to cook or at least have some food in a decent sized fridge, privacy, and being local are all great reasons for not staying in a giant hotel in the middle of the city Rosie. Leanne, I could not agree more and have leased villas, apartments, and condos, extensively all over the world. For us, it depends on the duration of the stay. A 4 Star hotel in Paris for 2 nights trumps an apartment, but if I'm there for a week, I definitely prefer the apartment. Shopping the local market and preparing lunch in a French villa for our family of 4 was an experience I will never forget. Malcolm and I have leased a home in Nantucket for Thanksgiving and can't wait to enjoy quality time with our daughter, her boyfriend and my MIL. Endorsement or not, this is a good message to all your readers. Thanks Suzanne - your Thanksgiving sounds like it will be wonderful. And you're right, it's about the timeframe - a day or two in a hotel room is one thing, a week makes me stir crazy. I also love the idea of the family having somewhere to spread out and to not have to eat in a restaurant for every meal. I'm also a little envious of your French villa holiday with the kids. We have always stayed in one or two bedroom apartments when we have travelled. We do each need our space and that is good. Great topic. Thank you for linking up for #lifethisweek. Next week's optional prompt is Share Your Snaps. 15/51. Hope to see you there! Denyse. We like the extra space too Denyse, my husband is an early riser and I like to sleep in when I'm on vacation (well, any time I can actually!) and not being stuck in a little hotel room gives us the freedom to move around and not interrupt each other.